Sadly enough some people sacrifice big parts of their budgets to buy oriental rugs just to discover later that they are not handmade but were manufactured in a factory. Traveling in a foreign country just to get hold of the best quality handmade rugs would be worth the expenses and efforts only if you know some basic things about rugs and how to distinguish them; otherwise, it would be better to trust special stores. Even in this case, you must have some basic knowledge in order to ask the right questions concerning the different qualities of Persian rugs and understand better their differences. Just because you see camels, birds and triangles on the rugs, it doesn't mean that they are handmade or of the best quality. Handmade rugs are made by natural threads whether it is silk, wool or cotton. The fringes of machine made rugs are added whereas the fringes of genuine oriental wool rugs are the end parts of warp strings. Authentic handmade rugs have many knots every square inch and that's why the depictions and colors are more intense. The differences are obvious at the back side, too. The depictions of machine made rugs are hardly distinguished and you can see that the edges of the rug are stitched by a machine whereas the edges of handmade rugs are stitched in hand. You must be aware of the differences in usage and carpet cleaning methods as well since traditionally handmade rugs require more attention. *Handmade rugs are dyed with natural colors, which may fade away if you don't use mild, ecofriendly products. Still you have to try their effects in one corner. 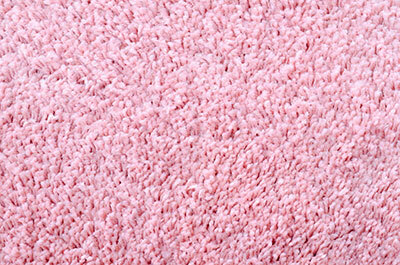 *Silk rugs should be cleaned with brushes instead of using the vacuuming cleaner, which may destroy the piles. *Use vinegar to revive the intensity of their colors and remember that annual carpet maintenance can help them last for centuries.